We officially made the Payments screen its own (full) screen, featuring improved navigation between receipts and a simpler way to exit it. When a bill is split in equal parts, there are no longer two lines on the Payments screen detailing the “Total due for this part”. When creating a new floor on an iPad, the default floor size is now 1024 x 655 pixels. We improved the way information refreshes on the Orders List screen. Takeout and delivery orders now respect the account’s configured Opening Time. The Actions panel now respects the selected sorting option (product, seat, course etc.) applied to the Order view, and vice-versa. So if you like things sorted by seat, they’ll be sorted by seat across the board. We’ve also organized the actions in the Actions panel into categories based on what they do. For iPhone users with the new Navigation bar, we’ve eliminated an additional click when switching between floors for a faster workflow. We updated the the “Reset” button when filtering on the Order List screen to “Clear”. Because, well, we thought it’d be clearer. We now fully support 0% VAT rates for establishments located in France. For clarity, we updated the ambiguous “Show cash drawer details” setting to “Show overview of receipts for each cash drawer”. This setting shows a breakdown of all receipts recorded in each cash drawer. What’s new in Lightspeed Restaurant’s Self-Order Menu? The “Edit” button is now bigger and easier to tap. We’ve added small visual cues, like highlighting the next action, to help guide the user through their order. 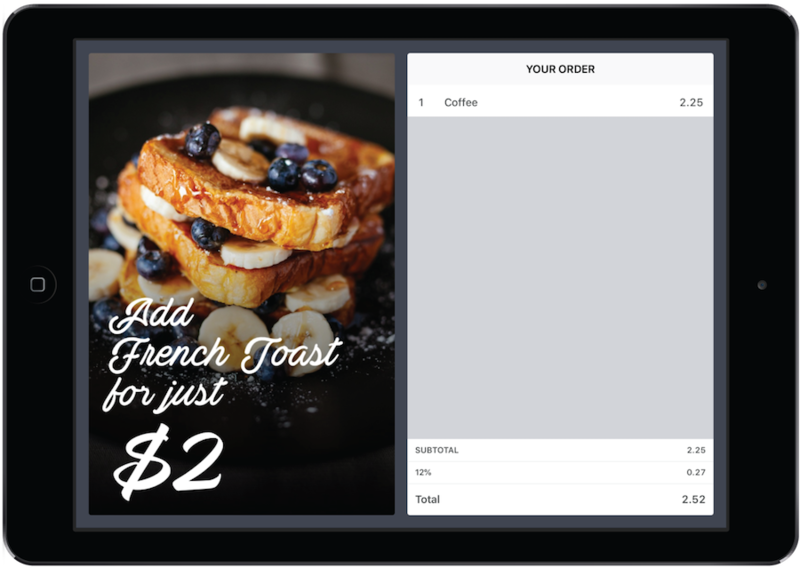 What’s new in Lightspeed Restaurant’s Customer Facing Display? You can now configure an upsell image to appear when an item is added to an order. If multiple order items have affiliated upsell images then each one will show for five seconds before the next one appears. NOTE: Some features require your LiteServer to be updated to version 6.10. This update will take place automatically. If you want to have your LiteServer updated sooner, please contact Support.